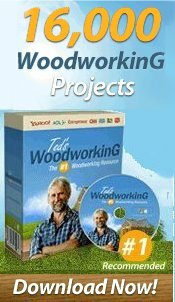 Welcome to Free-Woodworking.com, the home of Free Woodworking Plans and Projects. Whether woodworking is a hobby or more than just a hobby, we make it easy for you to save money building your projects with free woodworking plans. Free plans that show you how to build so many quick, easy projects and plans for useful and good looking furniture. All you need to purchase is the materials and maybe some tools (darn!). And you might even pick up some new skills along the way. You'll find great ideas to build for the home along with easy to print woodworking projects and building instructions. Most include material lists to make your shopping easier. Small changes make a big impact. Transform a room by making a custom piece of furniture. Make smart uses of small spaces by building furniture to fit. By building outdoor furniture, planters, fences, benches, you can substantially increase the living space of your house and make the outdoors more accessible for relaxation, dining and recreation. You can save time and money - and find inspiration - by using this website as a reference for how to build outdoor furniture. Then relax and entertain outdoors in your new space. Discover your inner builder as you create with free woodworking plans. The projects range from bird houses to dining tables and chairs. Building an entertainment center which might cost $2000 for less than 1/4 of the cost provides strong incentive to try your hand at building one. And these free woodworking plans provide all the instruction and tips to help any serious woodworker achieve their goal. There are simple projects to build that require just a small number of tools, and more extensive projects that willbe exciting to those who have power tools. There are lots of projects that can be built in one or two days, with minimum cost and wood. 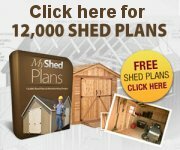 This website has so many plans listed that some are certain to interest you - whether you just want to turn out some nice pieces on a weekend or want to build a more extensive piece of furniture. So much to choose from - included are how to build chairs, desks, tables, trellis, arbors, pergolas, beds, benches, bird houses, bookcases, clocks, dog hourses, fences, kitchen accessories, lamps, mirrors, candle holders, planters, potting benches, sheds, shelves, stools, toys, workbenches, display cases, Christmas crafts and cabinets.